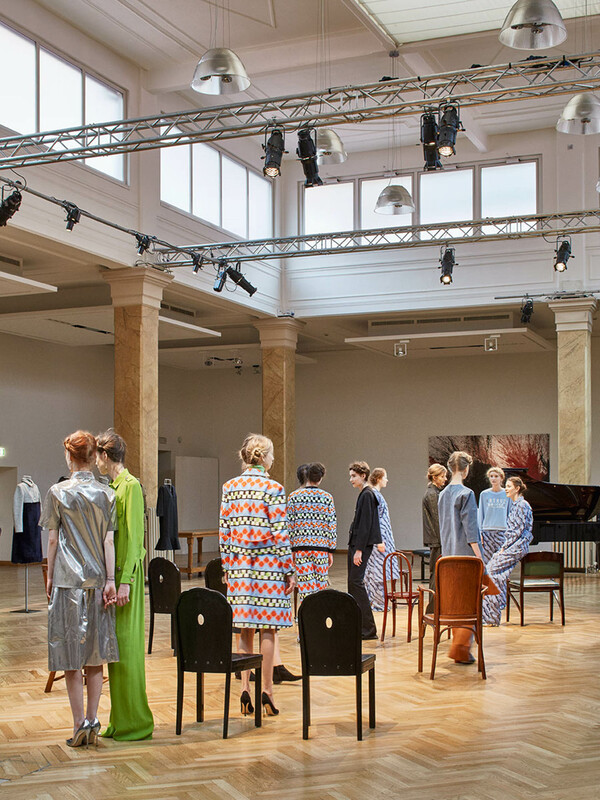 The third collaboration between Arthur Arbesser and architect Luca Cipelletti pursues the search for new forms of display for the presentation of the fall winter 2015-16 collection. 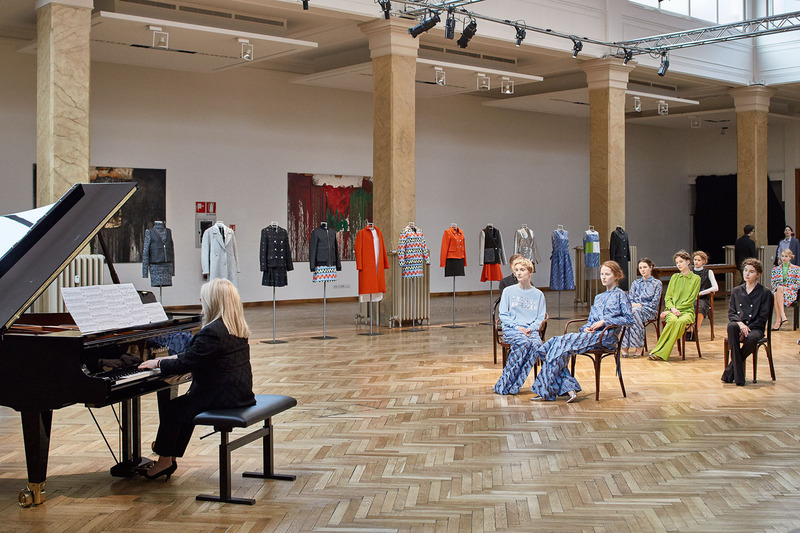 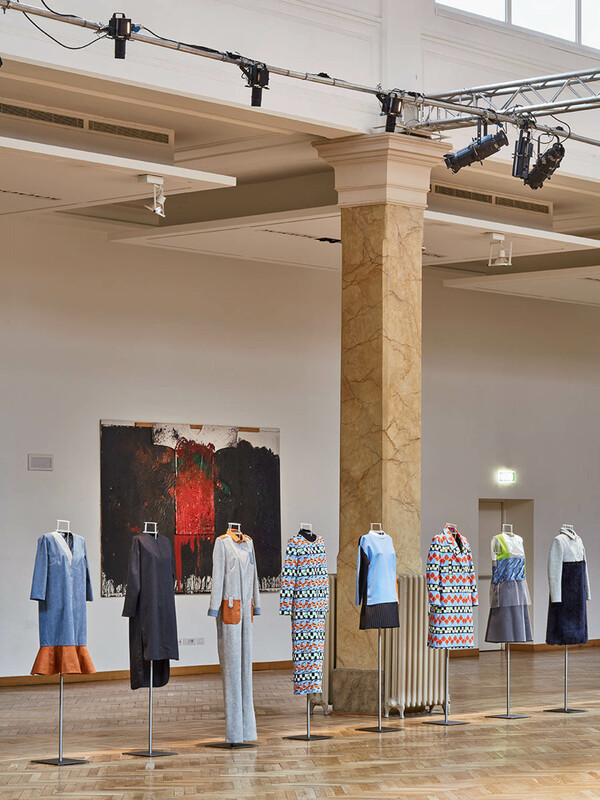 The exhibition, a contemporary reinterpretation of the debutante ball, designed as a tribute to Vienna, the birthplace and origin of the young designer. 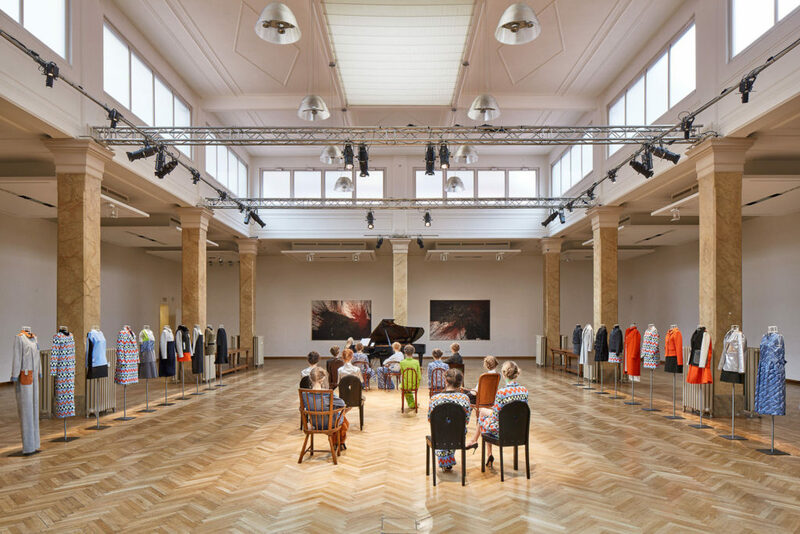 The venue is the historic Salone dei Tessuti Galtrucco, restored and redesigned by architect Cipelletti in 2006 as a multi-functional space; the 1920’s building, transports the imagination to Viennese tradition: in this unique arena models and mannequins wearing Arbesser‘s collection become spectators to a live performance by pianist Antoinette van Zabner of Impromptu in G Flat Major op.90 no 3 D899 by Franz Schubert. The historic Bösendorfer Imperial piano, together with twelve chairs by celebrated Austrian designers (including Michael Thonet, Josef Hoffmann, Koloman Moser, Otto Wagner, Margarethe Schuette-Lihotzky, Jacob & Josef Kohn) transform the central room of the show space to a concert hall, where guests can watch the performance. 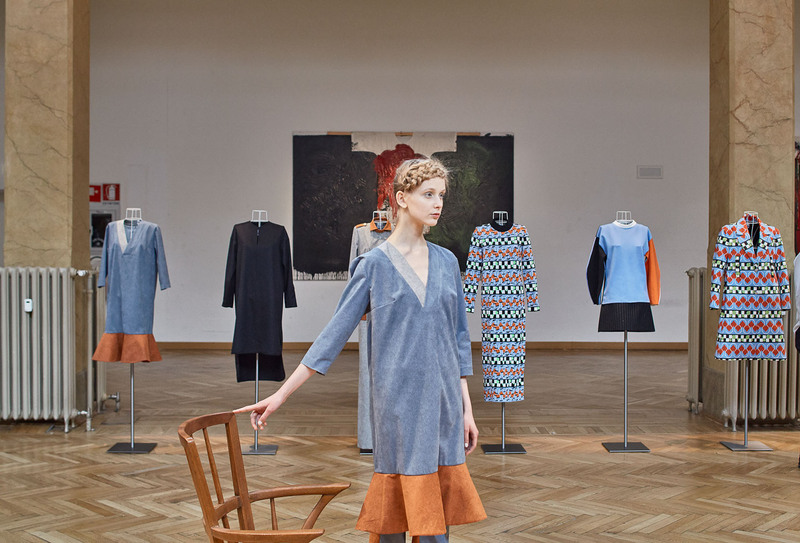 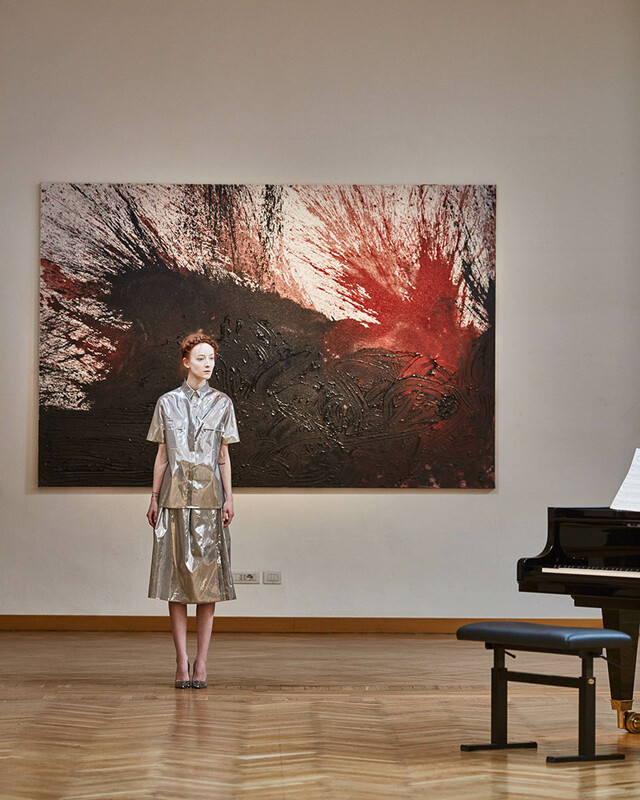 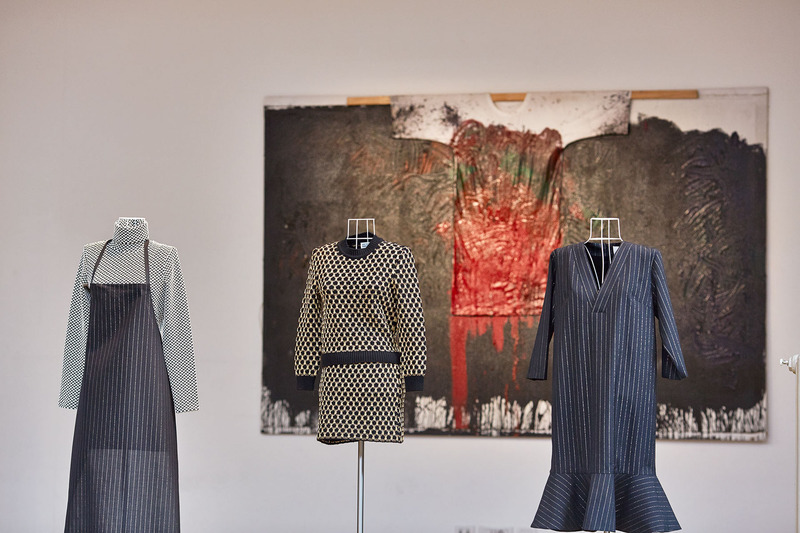 In addition to the classical component of the presentation, contemporary Austria is represented by the presence of art and fashion, with the exhibition of seven works in oil by Hermann Nitsch, member of the Vienna Actionists, from a private Italian collection and part on loan by the artist. 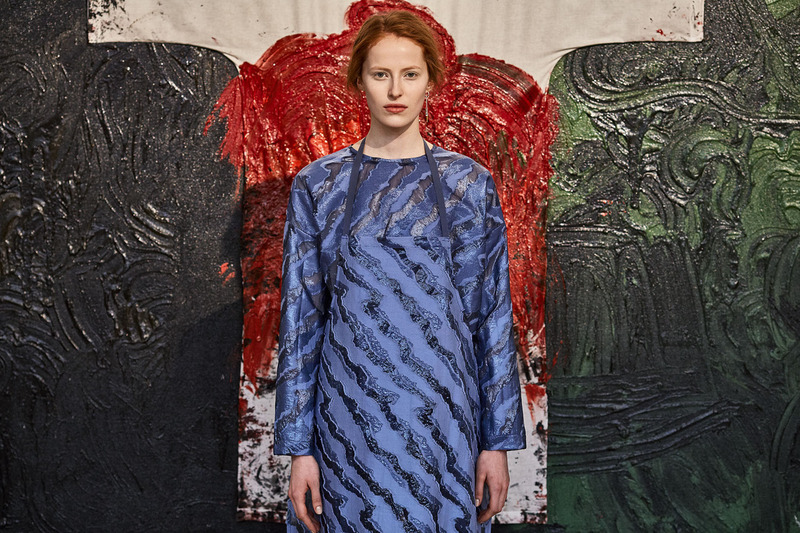 In line with his previous presentations, yet through a different and highly personal formula, Arbesser’s collection is accompanied by a world of iconographic references with the intention to create renewed stimulus, to imagine the presentation of fashion as an opportunity to unite the creative world. To present a total and complete vision.